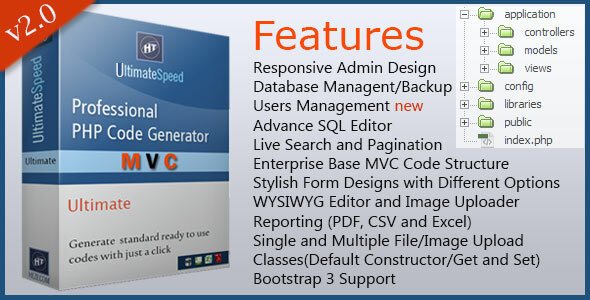 This script is a simple php script that allow your clients to register free email for themselves without them having access to the cpanel. 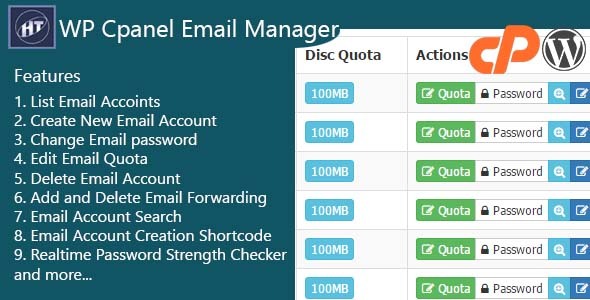 When user signup the detailed info of the user will be saved to your database and the username and password provided by the user will be used to create email on the cpanel. This email signup form works like gmail, yahoo… signup. Everything happens once at the click of the submit button. 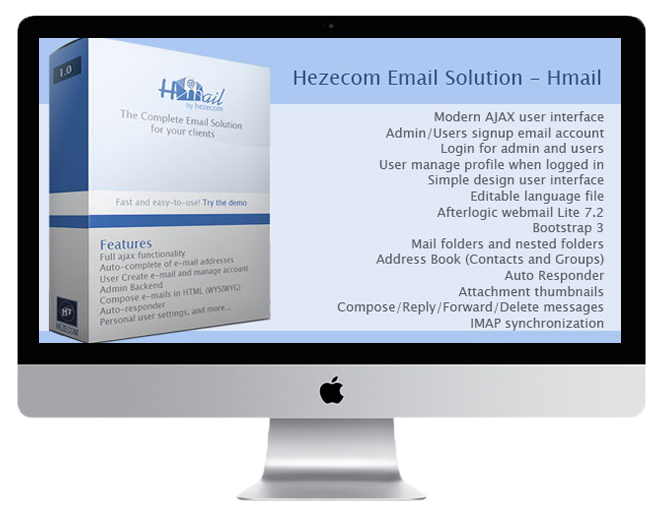 Hmail is a fast and easy-to-use webmail front-end for your IMAP mail server and creating emails for clients without accessing the cpanel. 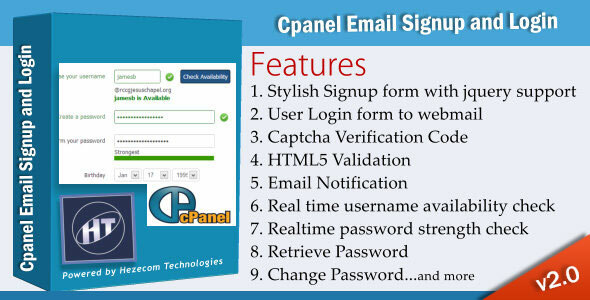 Users can also register email for themselves without accessing the cpanel and manage their profile when they login to their account. 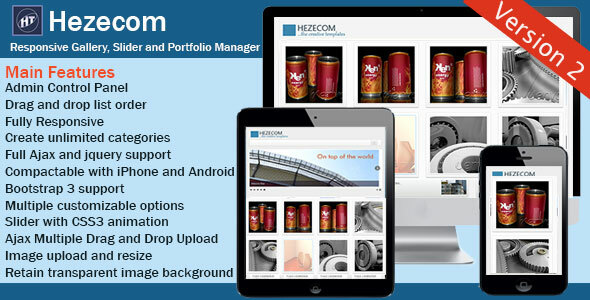 Hmail work just like, gmail, yahoo… and others. Simple setup without any programming skill. 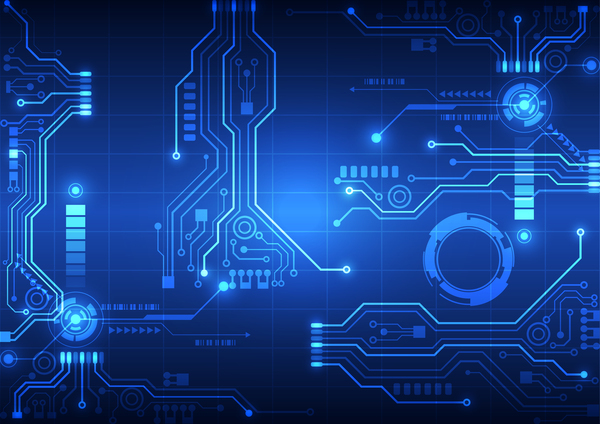 The integrated web administration panel allows you to manage the system settings without manual editing the config files. 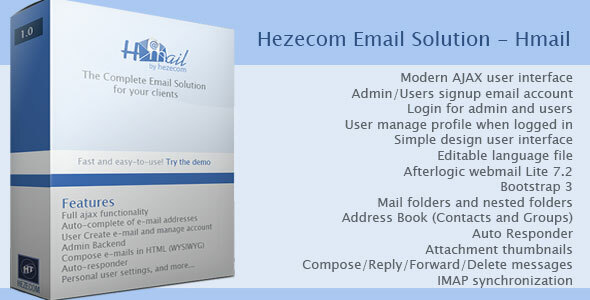 This solution is best for users who need a clean and simple web mail application, which is fast and easy to use. 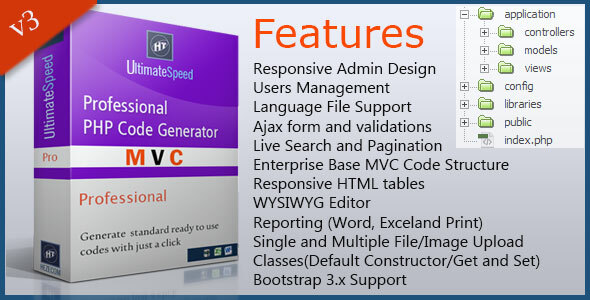 The AJAX user interface is optimized to respond as quickly as desktop applications usually do, to keep response times low. 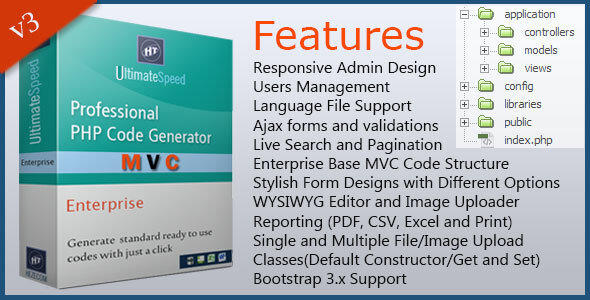 WP Cpanel Email Manager is a WordPress Plugin which perform cpanel operations without having to login to your cpanel. 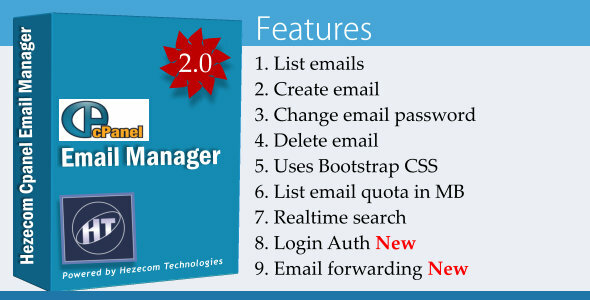 It enables you to easily create email, list all emails accounts, change email passwords, edit quota and more. 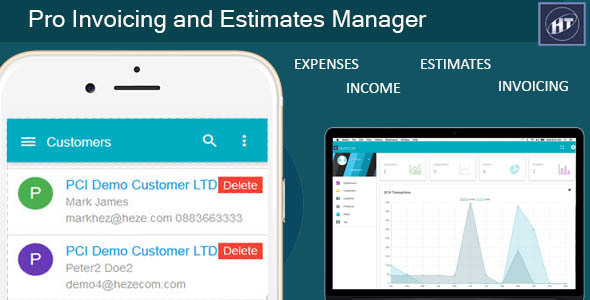 Pro Invoicing and Estimates Manager (PIEM) is web-based invoicing, estimates and expense and income manager software that helps you create beautiful account statements and invoices, automatically send payment reminders and get paid faster online.